Who’s Afraid of Post-Blackness? is a provocative new book by MSNBC correspondent, and Rolling Stone contributing editor Touré about what it means to be black in America today. Inspired by Obama’s presence in the White House, Touré expands upon the idea of “post-blackness”—a term originally coined in the art world to describe artists who make art about the African-American experience, but don’t want the scope of their work to be restricted by their racial identity. 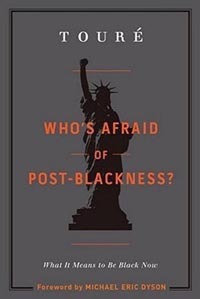 The book includes both irreverent and painful stories of race and racial expectations—culled from interviews with 105 luminaries, including Cornel West, Henry Louis Gates Jr., Michael Eric Dyson, Malcolm Gladwell, Paul Mooney, New York Governor David Paterson, Soledad O’Brien, Kamala Harris, Chuck D., and a host of others. It also includes a couple of very personal accounts, plus several insightful comments from Derek Conrad Murray, an assistant professor in UCSC’s History of Art and Visual Culture Department. 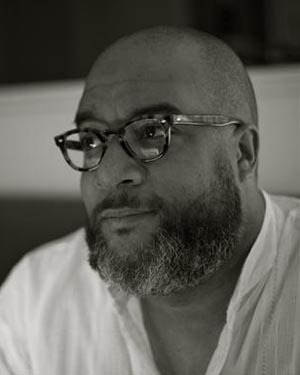 “In the black community, you can be excommunicated for not being black in the proper way,” said Murray recently in his office at UCSC’s Digital Arts Research Center. Early in the book, Touré shares a reflection by Murray that personifies this new concept of black identity with infinite possibilities. Murray’s research in the history of art and visual culture is focused on identity issues and the weight political movements have on younger generations. He noted that although young artists are the beneficiaries of the struggles of people before them, they often have trouble stepping out from past movements and capturing the spirit of their own time. “When I met with Touré, I found we had similar upbringings—we were both brought up in a middle class background and both struggled with charges of a lack of authenticity,” Murray noted. Now in the research phase, Murray said he plans to curate a future exhibition of works that exemplify this emergent movement in photography.